Successfully Added Xiaomi Multifunctional Gateway Smart WiFi Remote Control - Used With All Xiaomi Sensors And Products, RGB Light, Built-In Radio to your Shopping Cart. The Xiaomi Multifunctional Gateway Smart WiFi Remote Control is the ultimate tool to combine all your Xiaomi smart home accessories and to control them through one central hub. Simply plug in this multifunctional gateway into your power plug and connect it to your WiFi, after that you’ll be able to access and control all your Xiaomi Smart Home accessories through the Mi Home application on your smartphone. Adjust the brightness and color of your Xiaomi light bulbs, control your alarm system, pair it with your wireless doorbell, or simply use it as a nightlight or miniature radio – the possibilities with this Xiaomi gateway are endless. Featuring an abundance of RGB color LEDs, the Xiaomi Multifunctional Gateway on its own can illume your room in over 16 million different colors – allowing you to use it as a colorful nightlight. Additionally, the gateway is also capable of playing radio - allowing you to listen to the latest songs, talk shows, and the weather forecast at any given moment. The multifunctional Gateway can furthermore be used as an alarm clock, assuring that you’ll never be late for work again. When paired with other Xiaomi sensors, the Xiaomi gateway is capable of combining all your Mi smart home accessories into one system that can be conveniently controlled via your smartphone. In combination with your Xiaomi security sensors, this gateway will make sure that your property stays secure at any given moment. 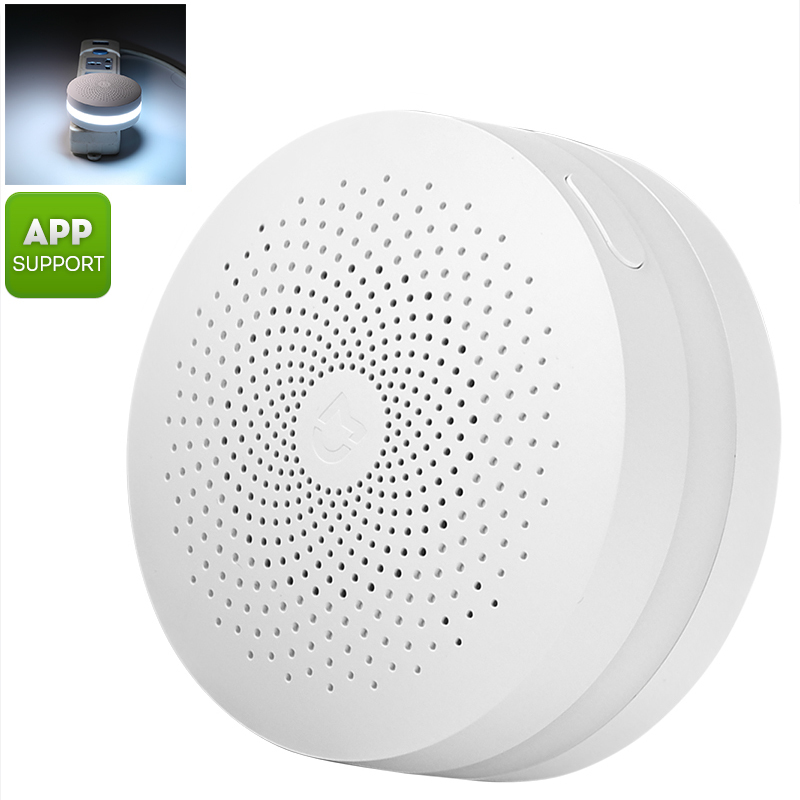 Simply pair it with your motion detection sensors and, whenever motion is detected in a certain area, this Xiaomi smart home accessory will inform you by sounding an alarm or lighting up in the color of your liking – assuring that you’ll always be informed when somebody is nearing your property. 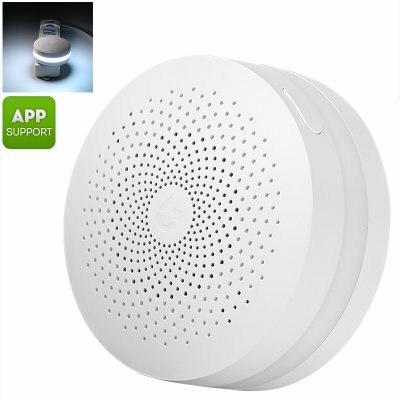 Additionally, this Xiaomi gateway can also be synchronized with all other Xiaomi products out there such as LED light bulbs, smoke detectors, and doorbells – truly allowing you to control your entire smart household with just one application. The Xiaomi Multifunctional Gateway Smart WiFi Remote Control comes with a 12 months warranty, brought to you by the leader in electronic devices as well as wholesale electronic gadgets..
Hamar megérkezett. Egyszerű a használata, de kell vele mókolni, hogy működjön rajta a rádió.